Matlamat Anggun Sdn Bhd is a company that provides construction services for building waterproofing and concrete repairing. Our main office is located in Shah Alam, Selangor, Malaysia. 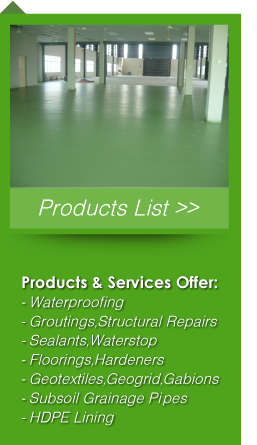 We also supply all kinds of waterproofing sealants products. With years of experience we know we can deliver optimum services to our clients. If you have any questions or need more information, please contact us. We will be pleased to answer any enquiries you have.